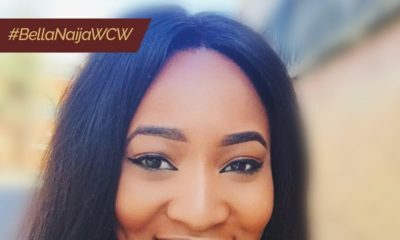 It seems love and happiness are not the only things flowing between Ebuka and Cynthia Obi-Uchendu, they are also in a fashion romance. Let’s be honest these two just get it and complement each other’s look in a way that totally works. 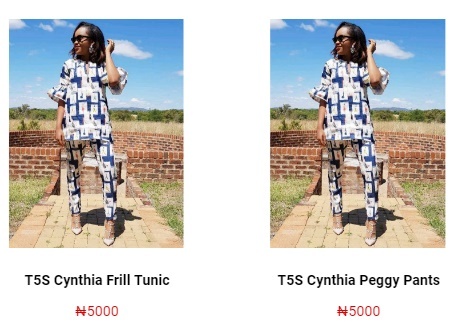 While Ebuka is slaying agbada outfits, his wife Cynthia is making moves with online budget fashion store The 5K Shop. She announced the collaboration today with a photo of herself wearing a circular flounce-sleeve short tunic and matching straight pants paired with Valentino pumps and diamond encrusted earrings from her bridal store Something Labeled. Collaborated with @the5kshop and designed a new clothing line . This set is now available for purchase there .. And more styles are coming soon. Hope you like them. The Cynthia frill tunic and Peggy pants are already up for purchase on The 5K Shop website and we are eagerly waiting to see more pieces from this collaboration. Bella Naija, who are your writers????? Kikikikikikkikikikikikikikikiki. Those two are like fulani and igbo terrible combination. And you know this how. By looking at them. You poor unfortunate soul.